iSURVEY Group, provider of survey and positioning services to the global oil and gas and telecommunications sectors, has boosted its North Sea presence following a number of contract wins and the appointment of a new business development manager. Following the recent announcement of a contract extension with Nexans Norway AS, iSURVEY has also been awarded a second contract extension with AGR to provide rig move and positioning services for the company and its clients, Faroe and Engie, during their exploration-drilling campaigns in 2016. The semisubmersible rig, Transocean Arctic, will be used for the drilling campaigns on these two wells. iSURVEY has provided rig positioning services on board the Transocean Arctic since 2012, working with AGR during the same timeframe. To continue this North Sea growth is the appointment of business development manager, Stuart Murray. Over his career spanning more than ten years, Mr Murray has undertaken a variety of business development roles within the industry. 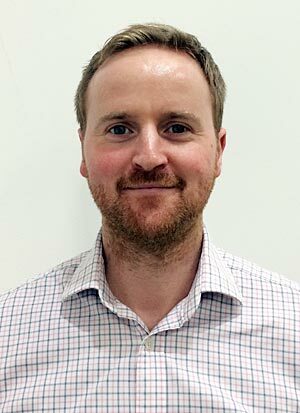 Mr Murray joins iSURVEY from Bibby Offshore where he held the position of subsea business manager, prior to this managing business development for Subsea7.